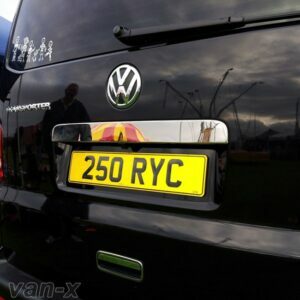 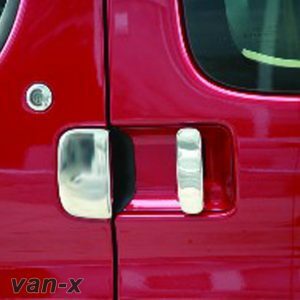 You are purchasing a BRAND NEW Van-X Tailgate Plate Edge Trim designed and manufactured by Van-X for the above vehicle. 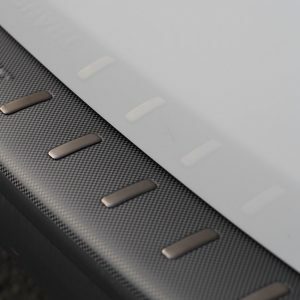 This Tailgate Edge Trim has been produced using high grade stainless steel, manufacturing processes available in the industry to achieve a great premium quality finish! 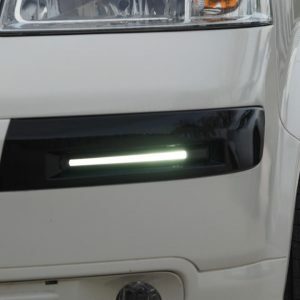 It gives a new trendy look for the tailgate boot. PLEASE NOTE: The image listed above shows the tailgate edge trim is fitted at the bottom of the tailgate door. 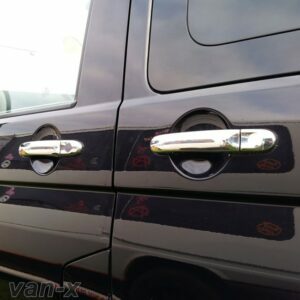 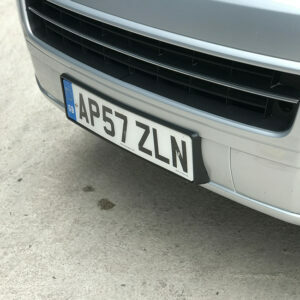 It is not the door handle or number plate trim. 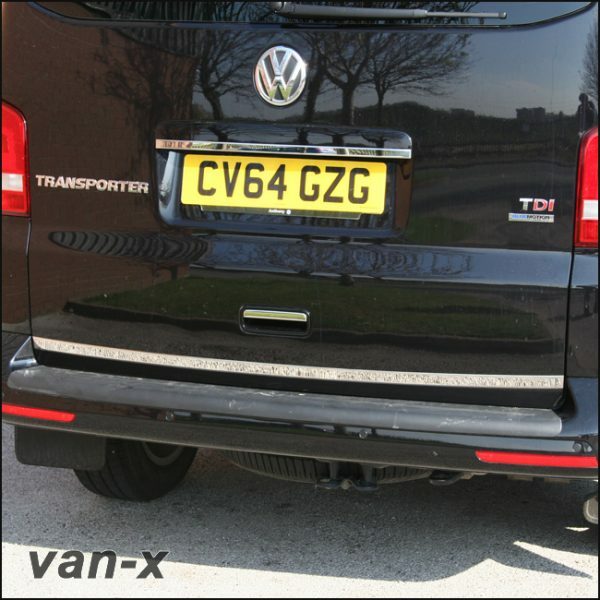 This product will only fit on TAILGATE MODEL VW T5.1. 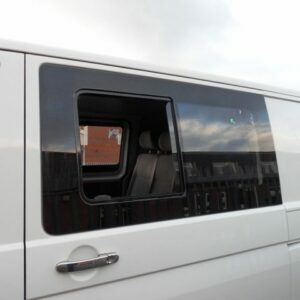 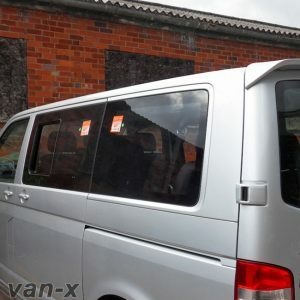 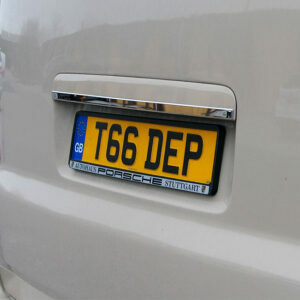 Adds a great, high-end style for VW T5 Transporter. 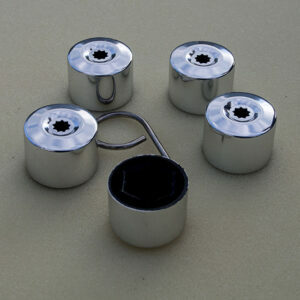 High Grade Stainless Steel leaving a chrome finish. 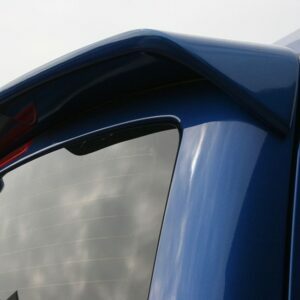 Direct Fitment Specification made to last many years. OEM quality specification and fitment. 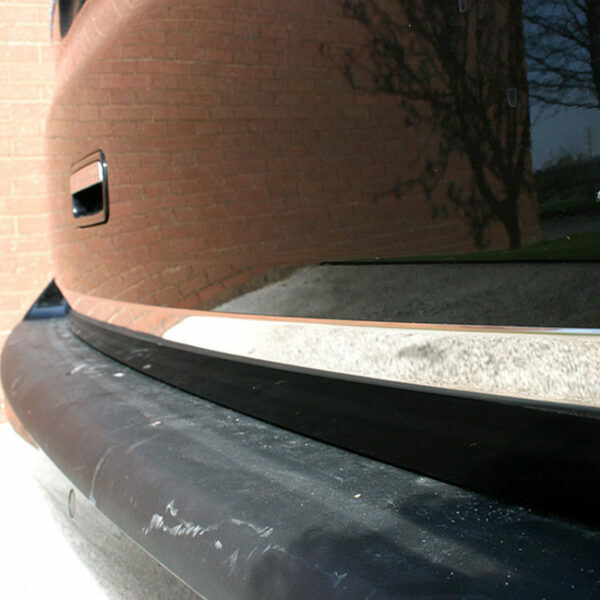 Additional bonding adhesive may be required if this product is to be fitted permanently to the vehicle.